The huge size could be potentially harmful to fisheries as marine fish flee the oxygen-lacking area. 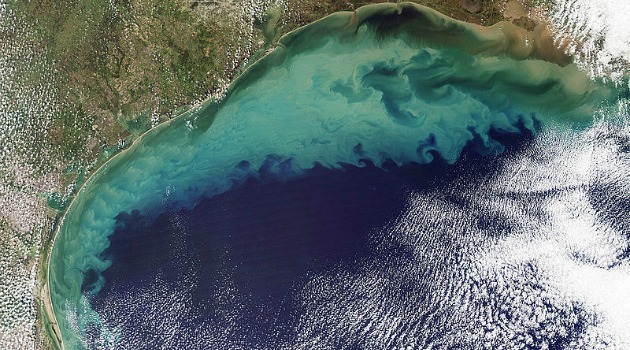 The National Oceanic and Atmospheric Administration (NOAA) has predicted that this year’s ‘dead zone’ in the Gulf of Mexico could be the size of Connecticut, approximately 5,898 square miles, which scientists say will cause a huge problem for fisheries this summer. The dead zone is uninhabitable for fish due to the low levels of oxygen caused by wastewater and industrial agriculture pumping in nutrients that feed algae but the problem comes when these algae flourish and feed other organisms, eventually dying, decomposing and taking out the oxygen needed by other marine life. As a result fish escape the area leaving little catch for fishermen. The NOAA analyze the dead zone every year and predicts its size using data from multiple models used to predict huge weather occurrences such as hurricanes. This is the second year that NOAA have used a series of four computer models that predict nitrogen and phosphorous levels in a range of 5,204 to 6,823 square miles in several regions. The information is ultimately used to understand and reduce the flow of the oxygen-zapping nutrients according to a statement by Sarah Ryker, acting deputy assistant secretary for water and science at the Department of the Interior. This year’s dead zone size will be announced in early August once the NOAA have analyzed it in late July.